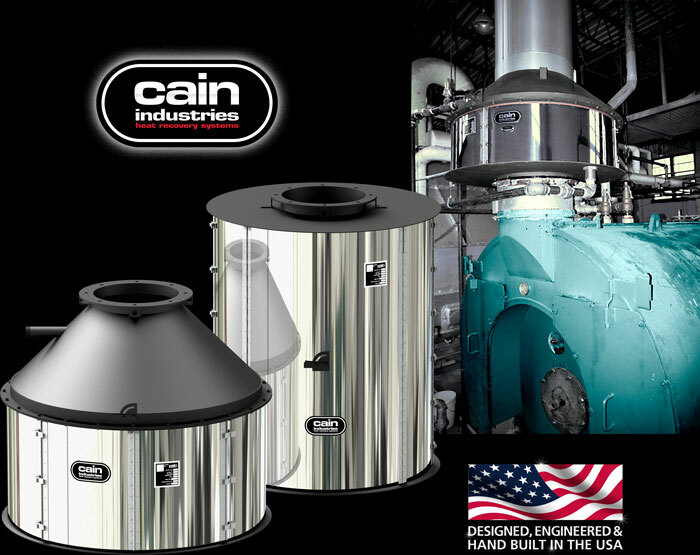 The B Series boiler economizer is comprised of 14 standard models. An “off the shelf” unit, it is designed primarily for boilers with round stacks and a combustion capacity of 40 to 800 BHP with entering gas temperatures between 300° and 700°F. The standard stack connections can be easily modified to fit specific boiler stacks with 10" to 34" diameters, alleviating the cost of stack adapters. The units come standard either with 4 or 6 fins per inch (fpi) spacings for operation with No. 2 fuel oil and/or natural gas and depending on the efficiency of the combustion. With its lightweight design and exclusive AL-FUSE™ heat transfer surface, installation is fast and costs are kept to a minimum. Use the chart at the bottom of the page to select the B Series unit that is best suited to your application.